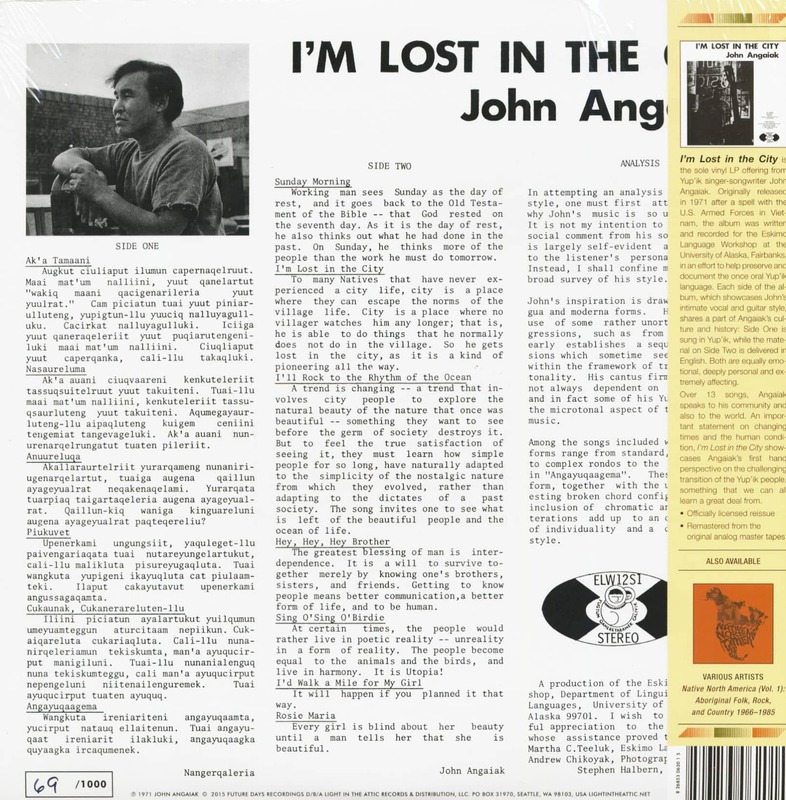 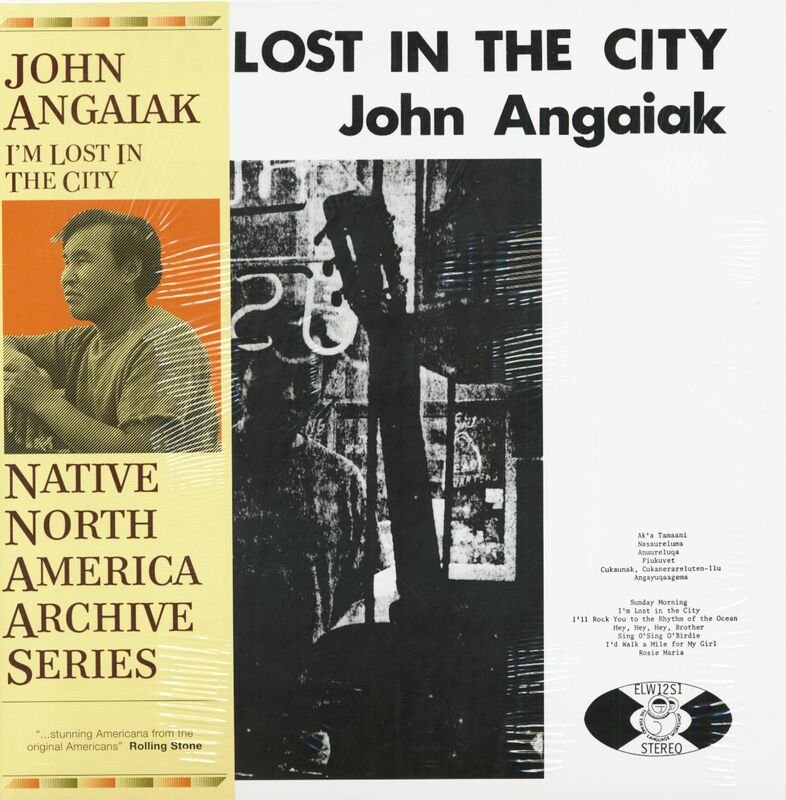 (2015/Future Days) 13 tracks - I'm Lost In The City is the sole Vinyl LP from Yup'ik singer-songwriter John Angaiak. 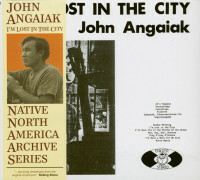 The orginally released in 1971, after spell with the U.S. Armed Forces in Vietnam, the album was written and recorded for the Eskimo Language Workshop at the University Of Alaska. 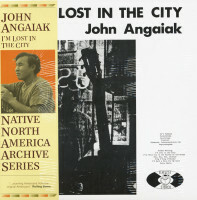 Customer evaluation for "I'm Lost In The City (LP)"